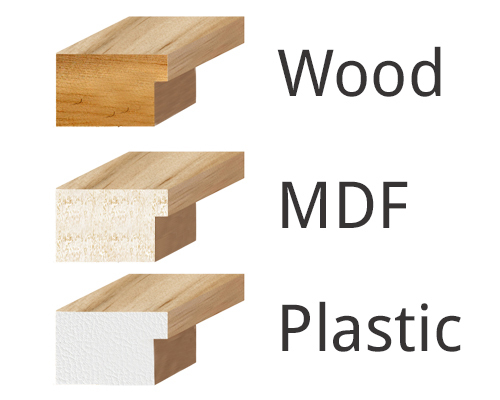 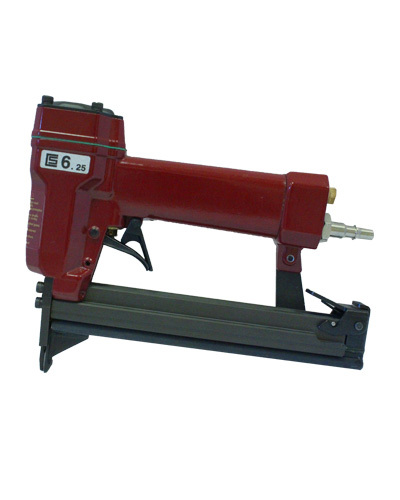 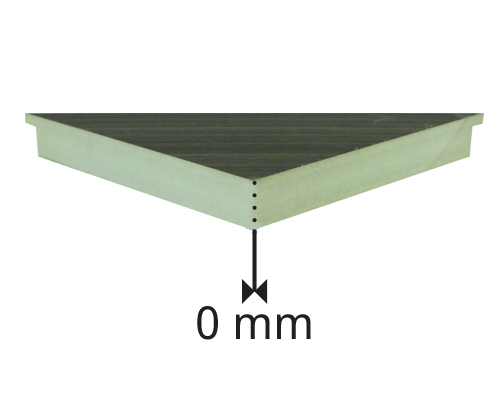 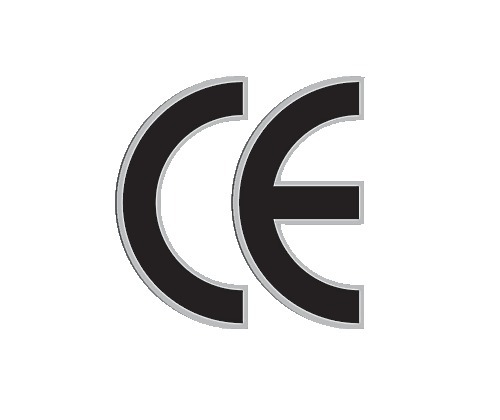 The CS969 can cut wood, MDF and plastic mouldings. 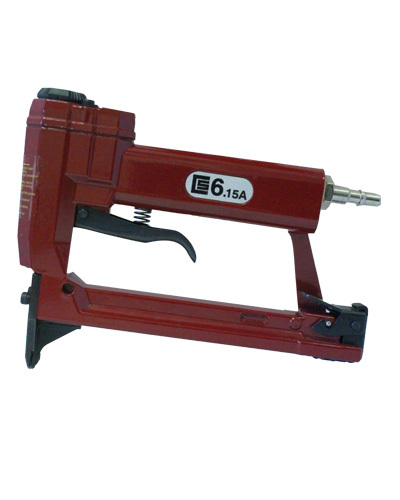 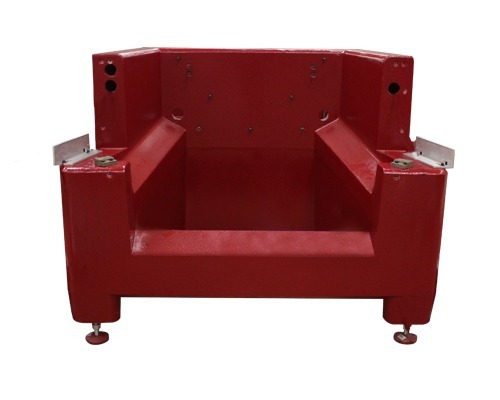 It is ideal for industrial or craft use. 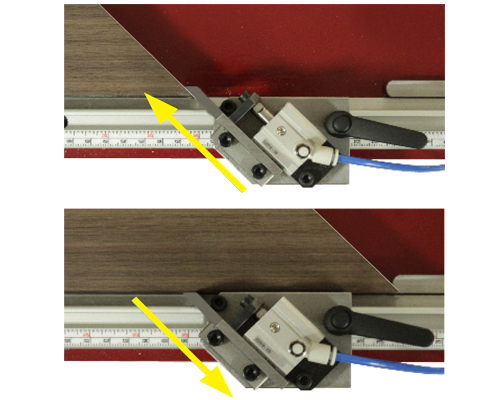 The horizontal and raised cutting stroke cuts the widest mouldings without chipping, even on the most delicate mouldings. 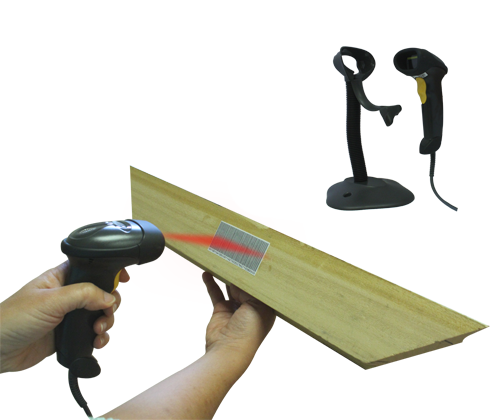 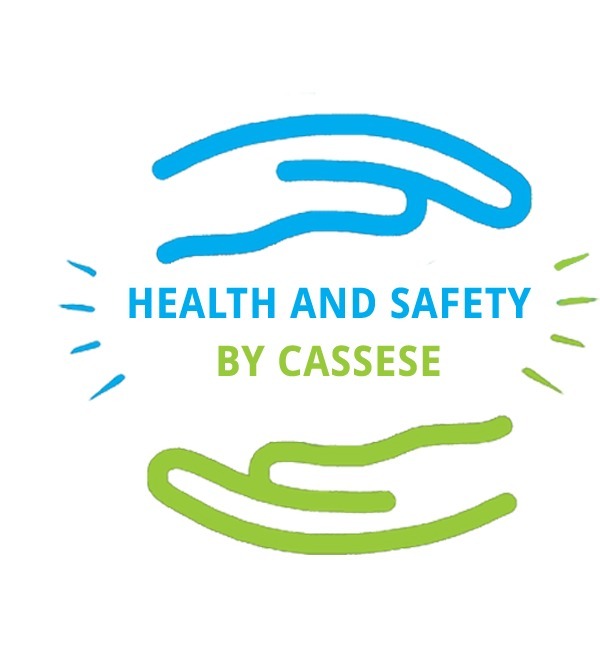 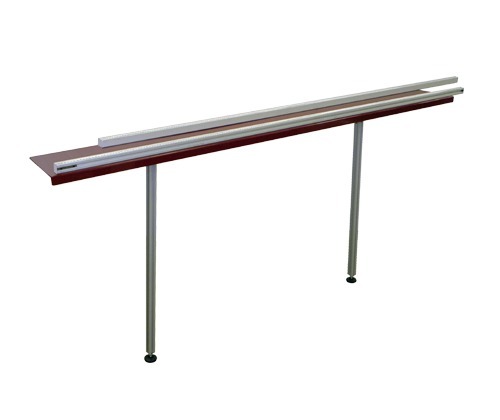 It allows a cutting angle towards the inside of the profile and thus eliminates any risk of glare. 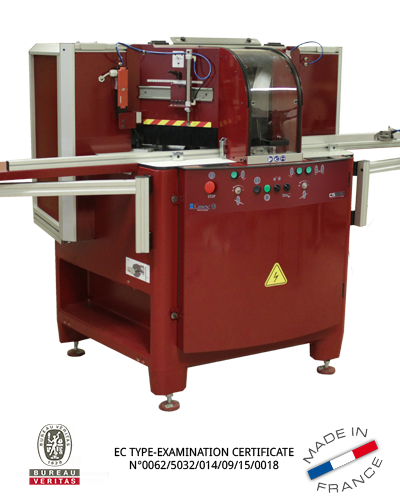 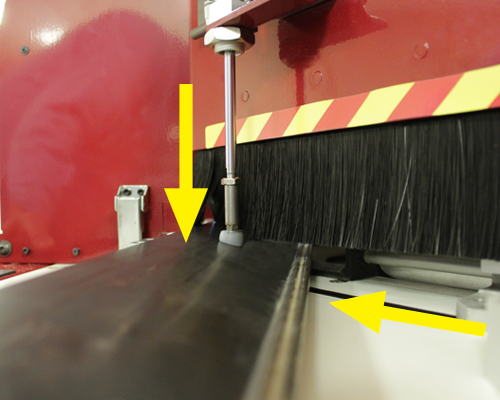 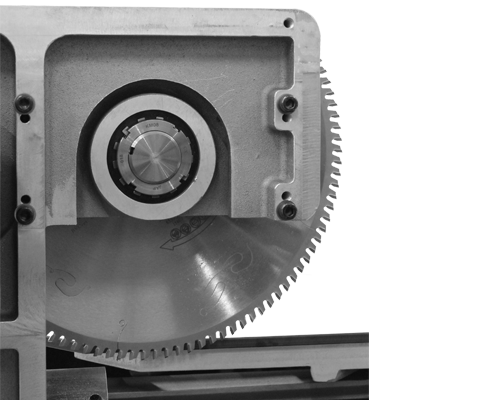 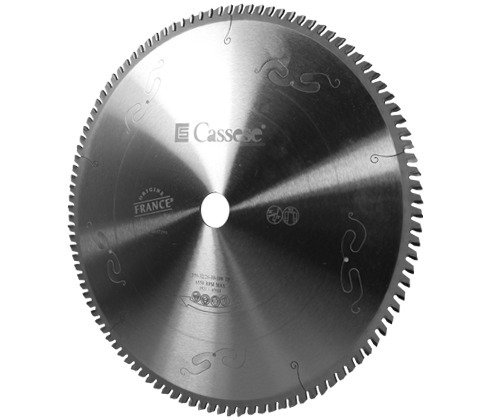 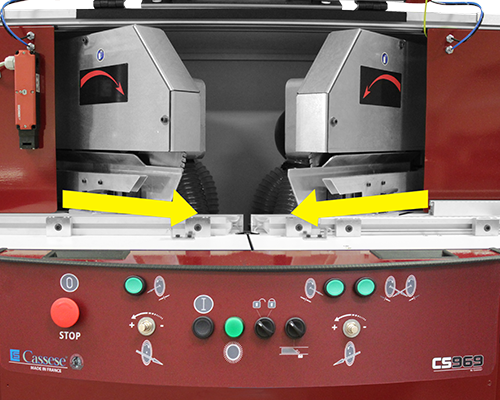 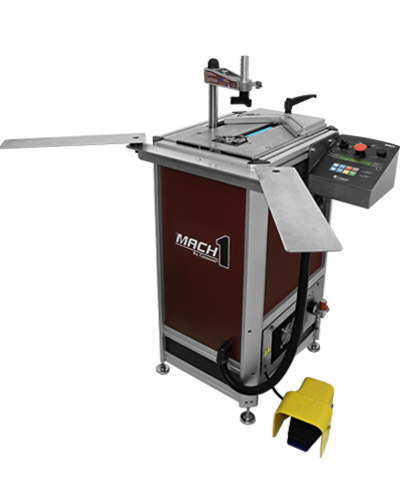 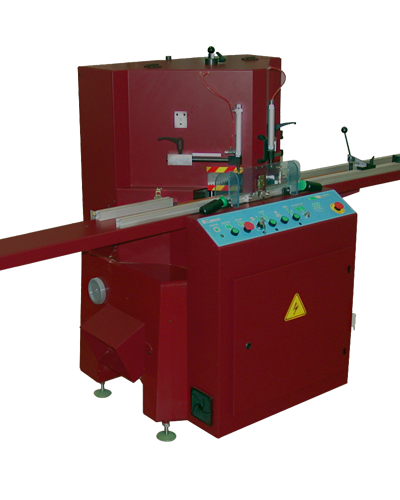 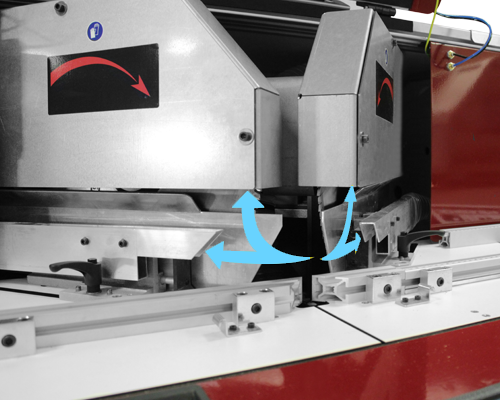 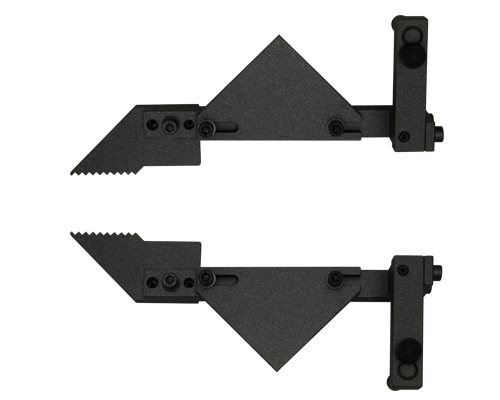 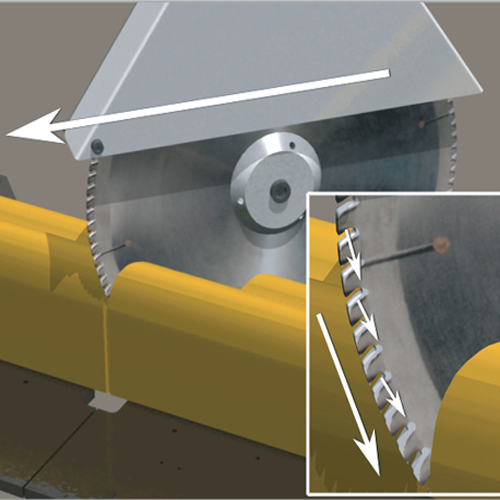 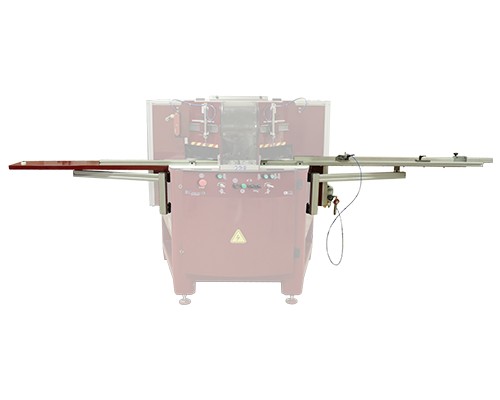 Alternate the cut of the blade to reduce waste to zero, save meters of mouldings. 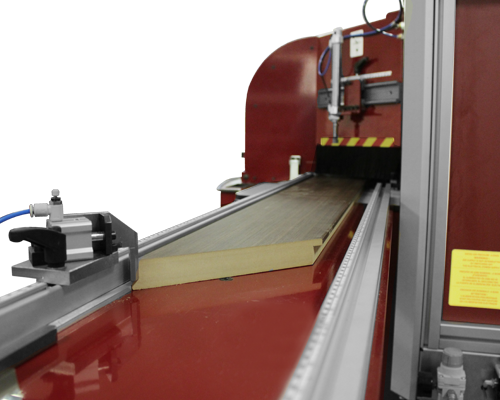 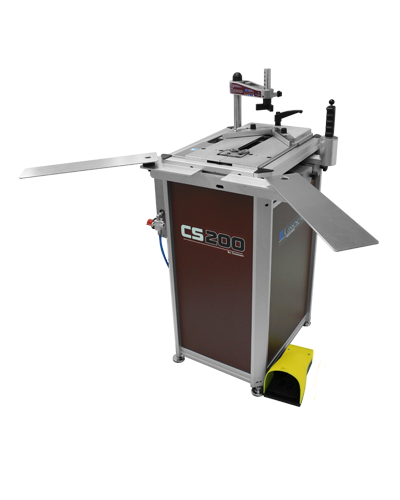 You may also be interested by our high speed Double Mitre saw CS999, ideal for framers with big volume of productions. 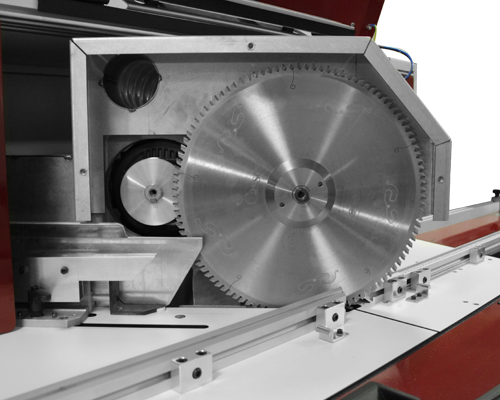 The double mitre saw cuts up to 160mm (6 5/16″) wide mouldings and up to 110mm (4 11/32″) high mouldings. 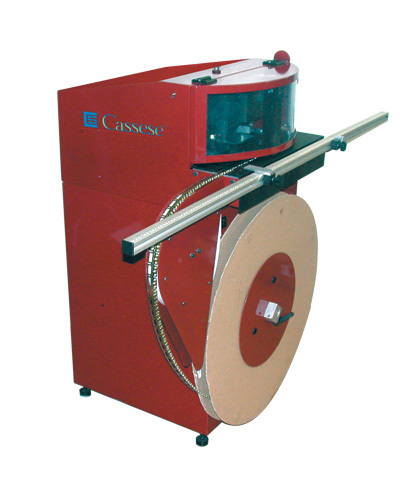 The CS 969 can cut wood, MDF and plastic mouldings. 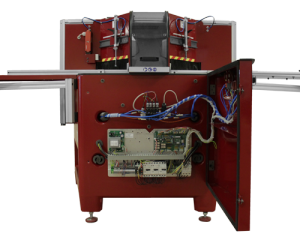 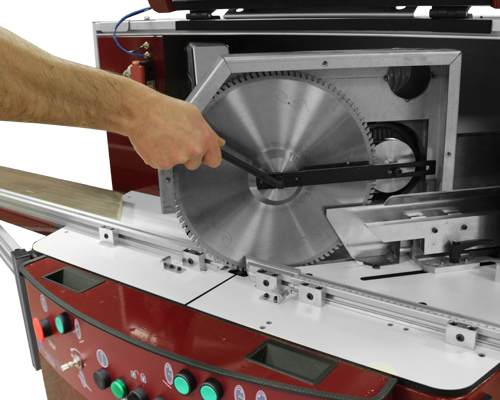 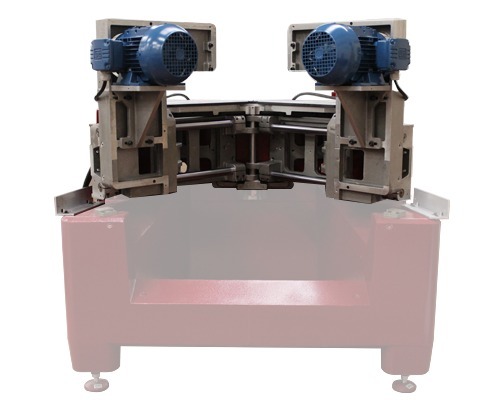 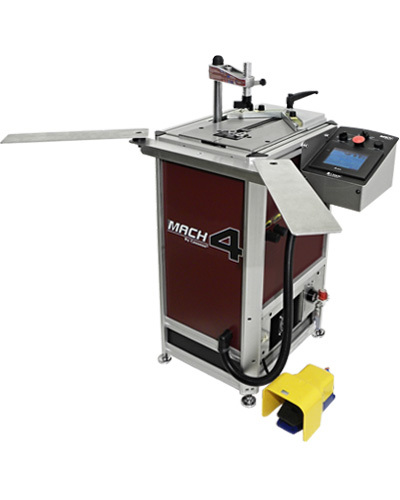 The AUTOMATIC DOUBLE MITRE SAW 45 features 2 horizontal & 2 vertical built-in adjustable clamps. 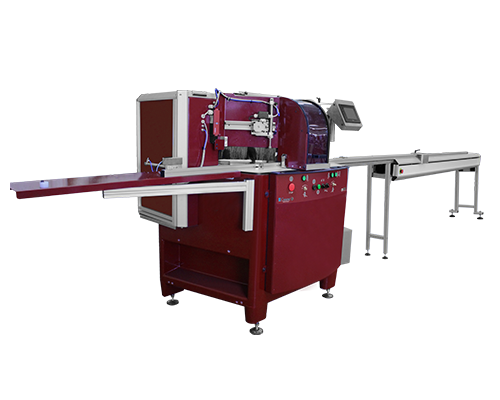 They firmly secure mouldings in order to avoid them from moving or rocking during the cutting operation and flatten the mouldings if bent.